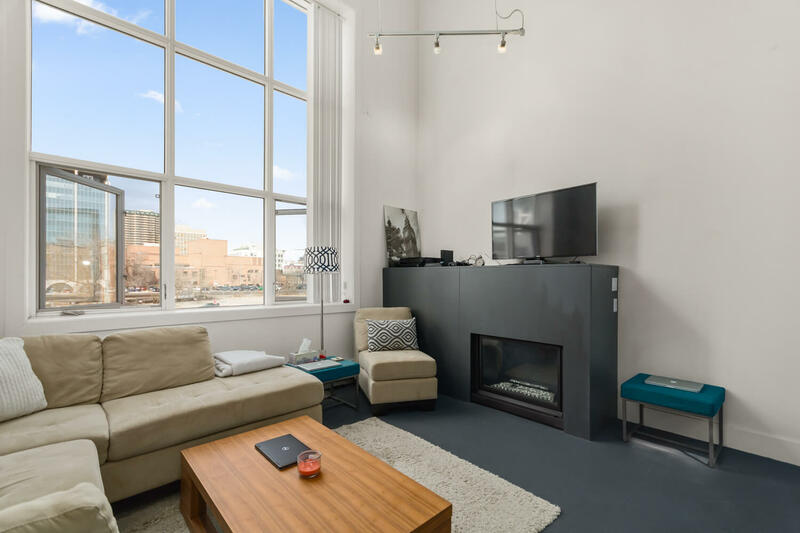 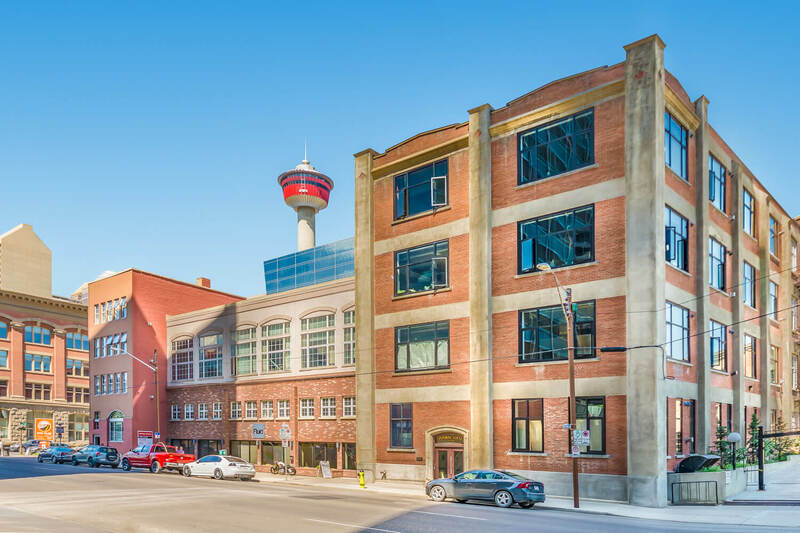 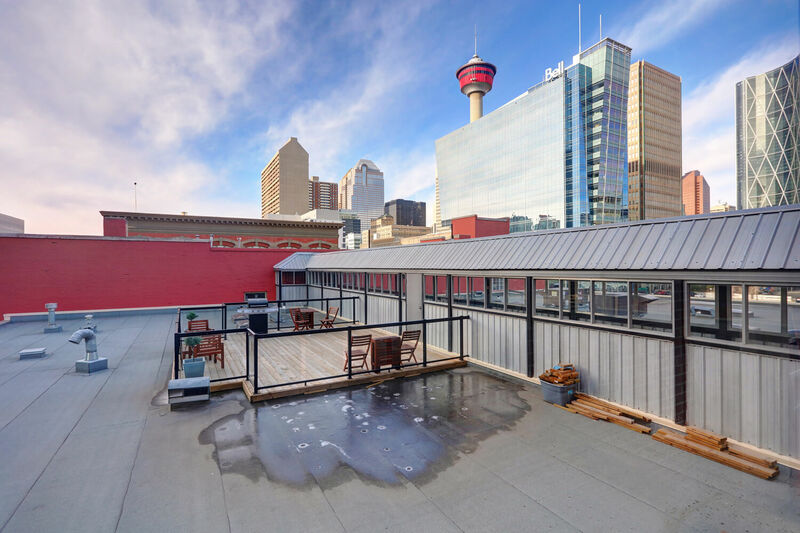 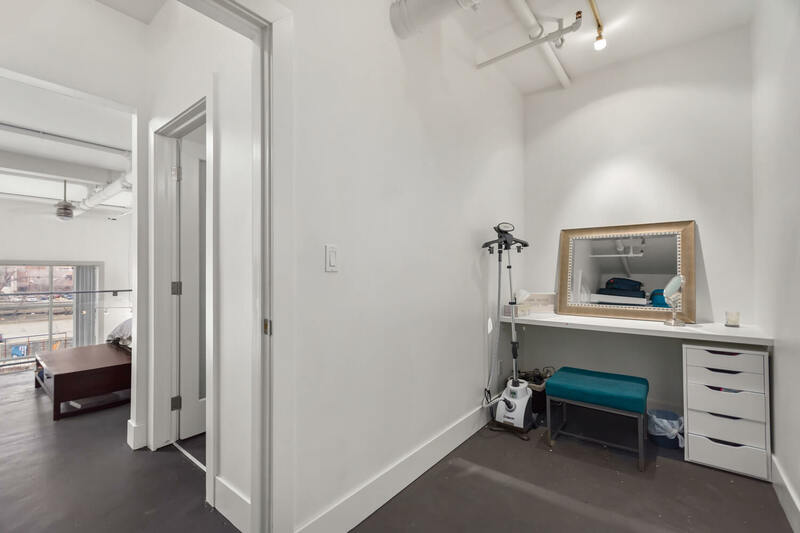 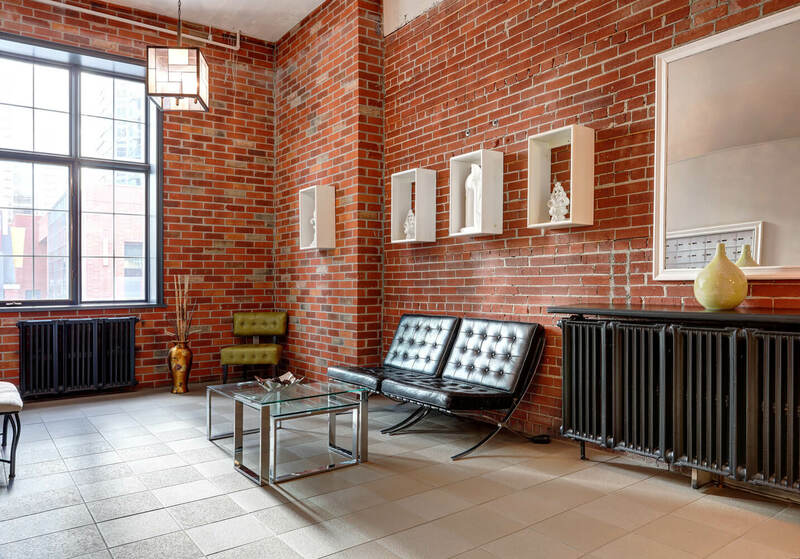 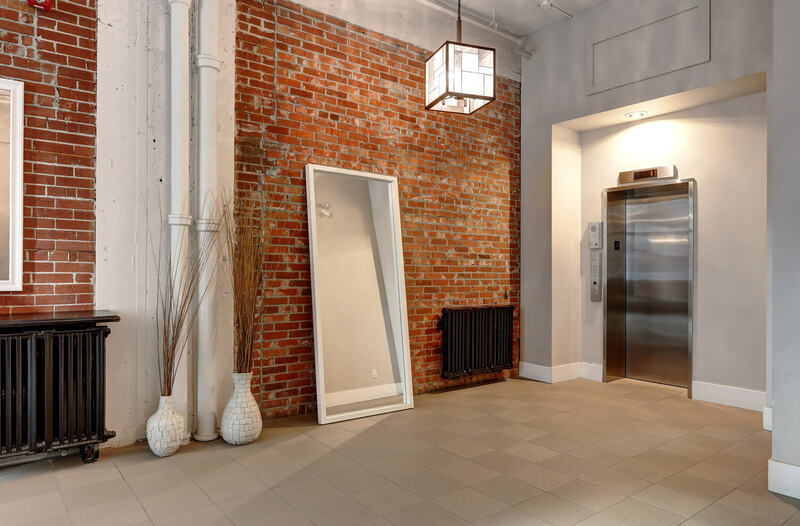 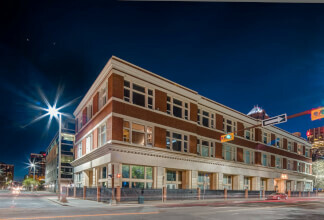 Stylish Two Storey Loft at Imperial Lofts // Beltline Calgary Loft Condo // Christina Hagerty + Co.
RENT-TO-OWN OPTION: Designed by the Imperial Tobacco Co. and constructed in 1929 by Bennett & White Construction, this is your chance to own a piece of history. 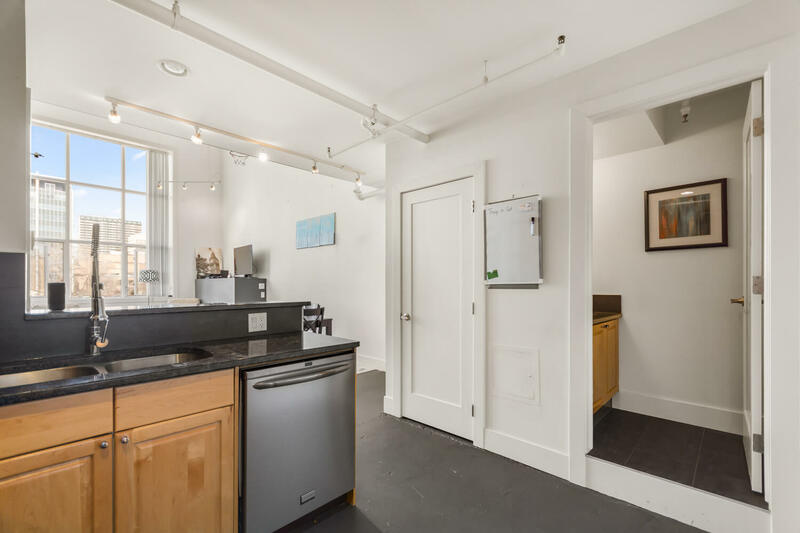 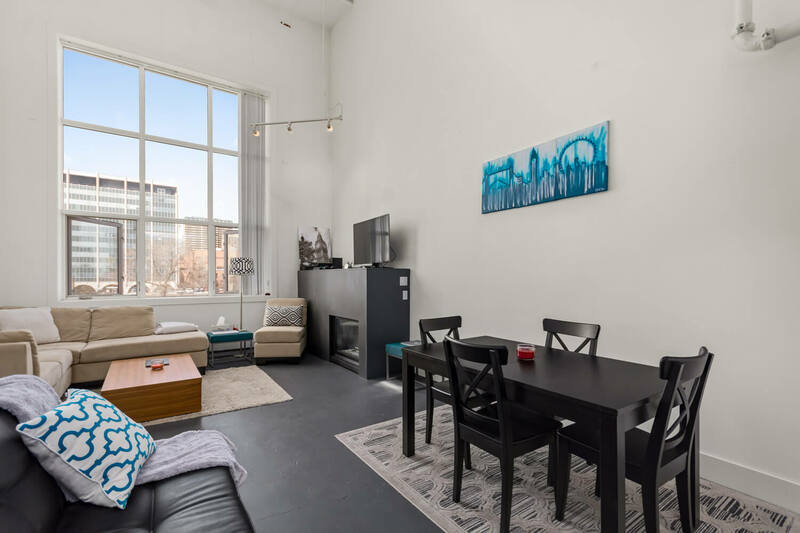 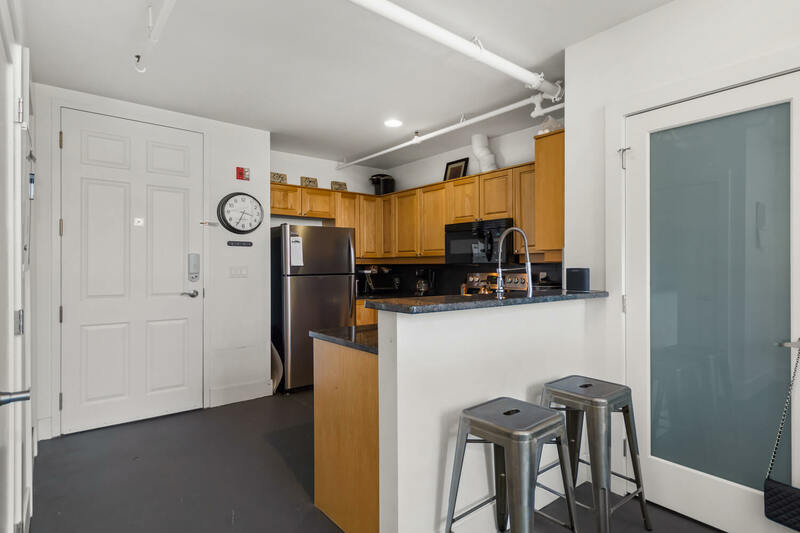 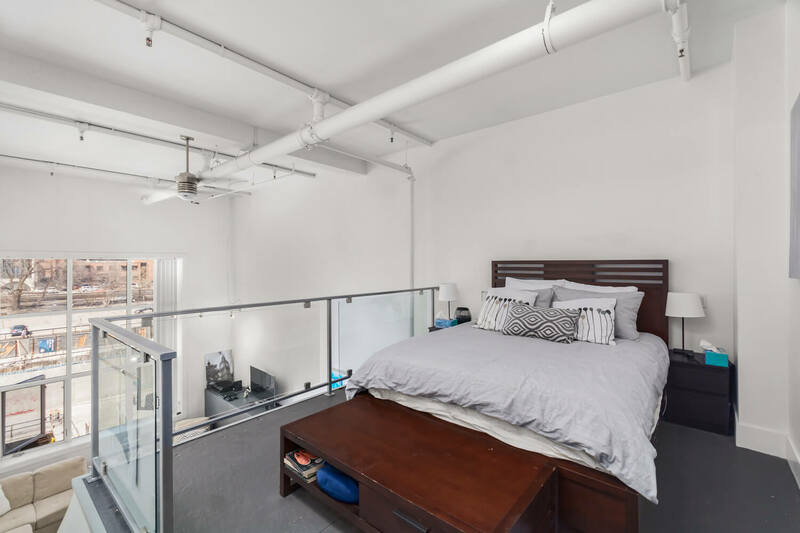 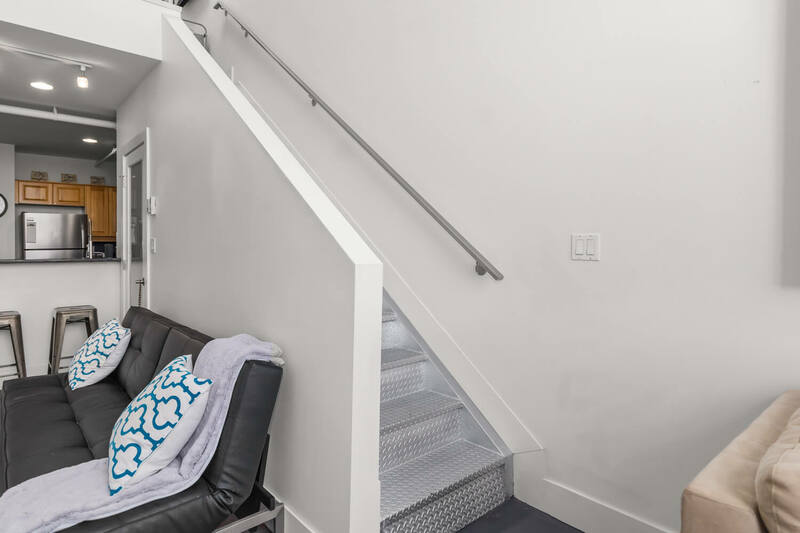 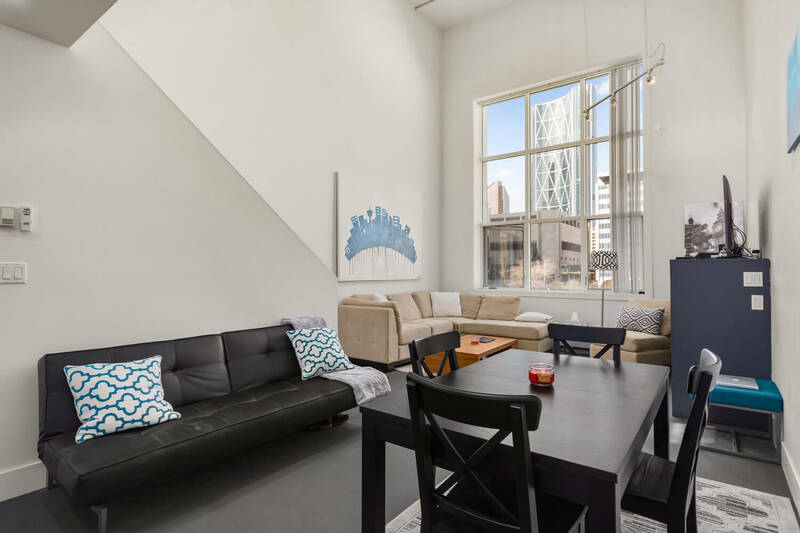 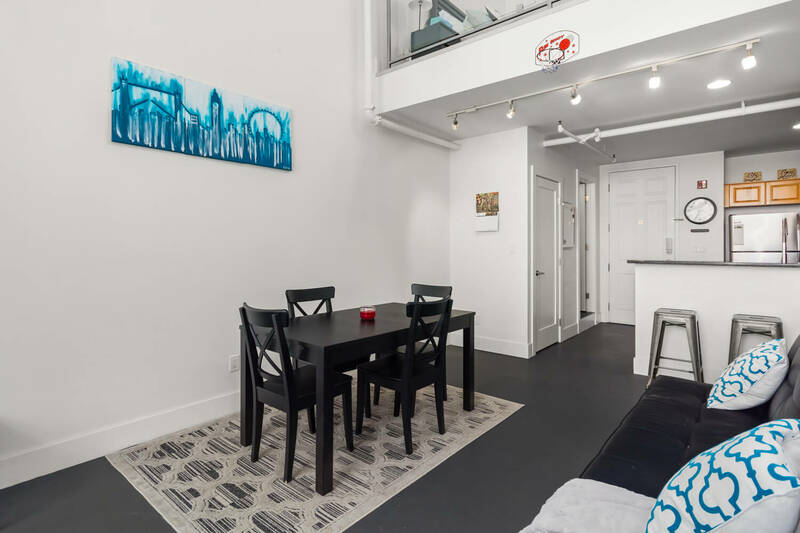 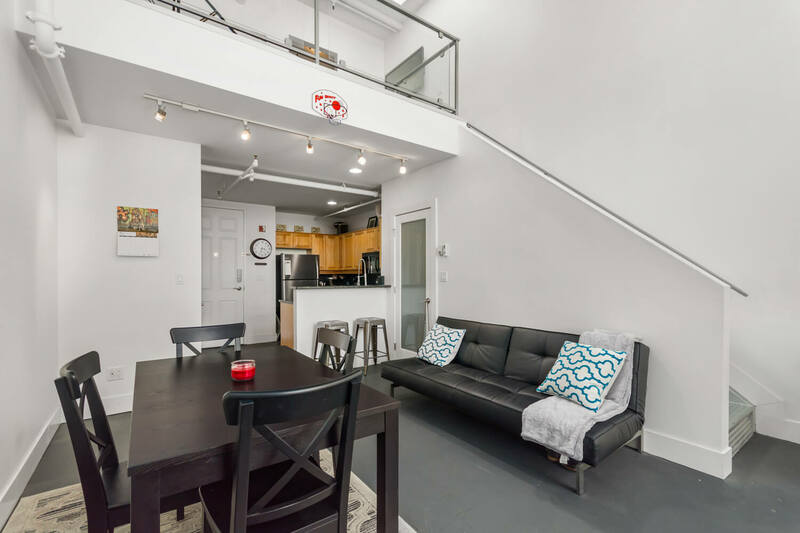 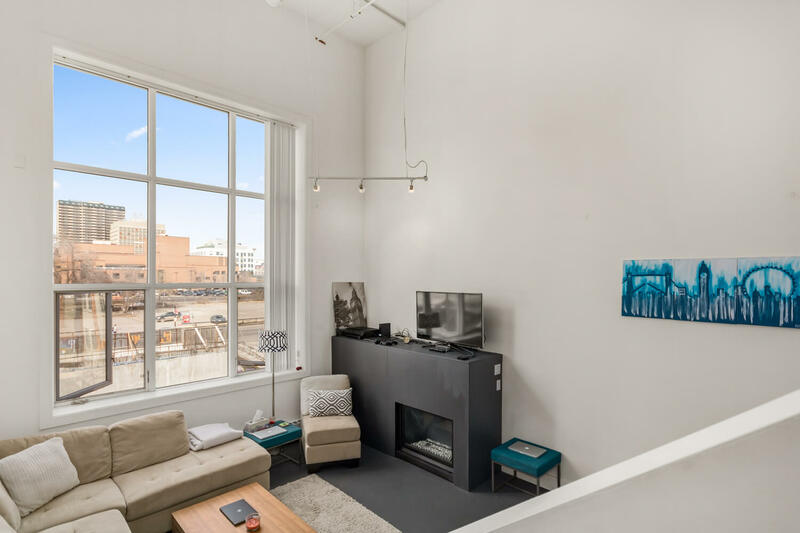 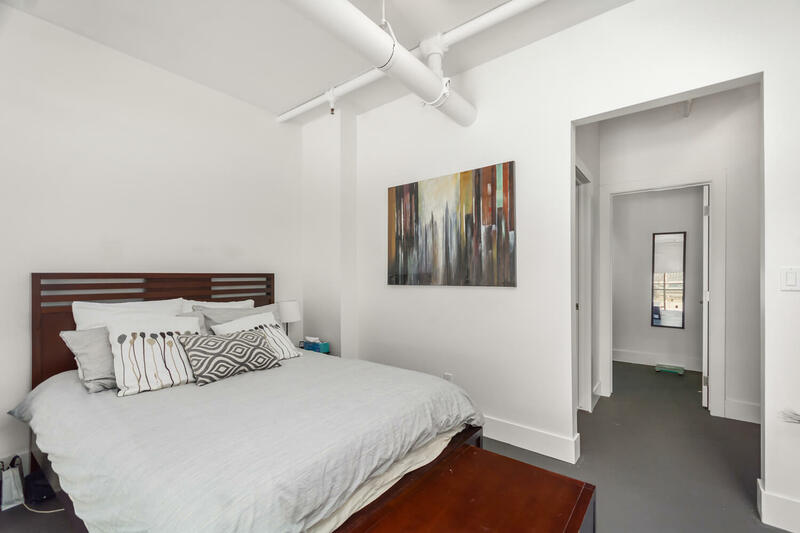 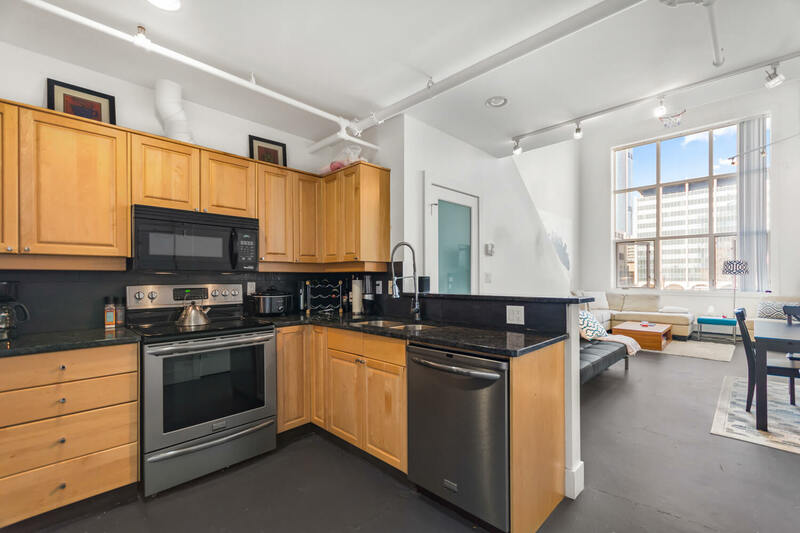 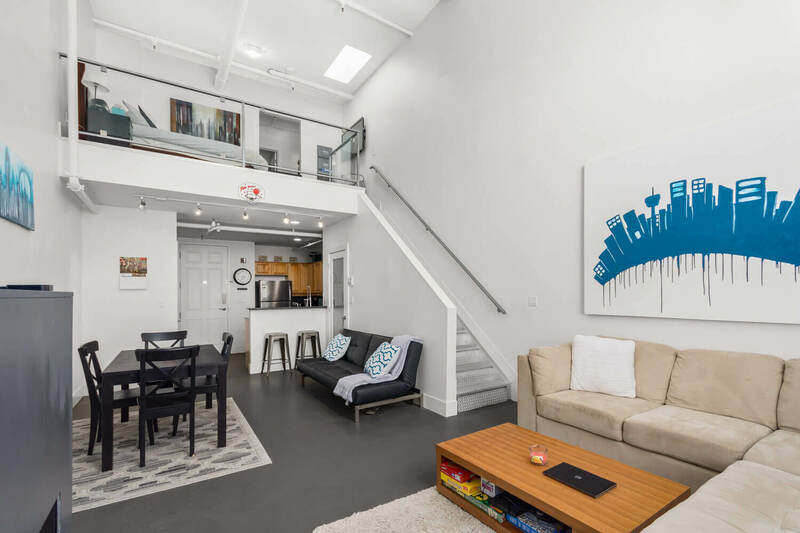 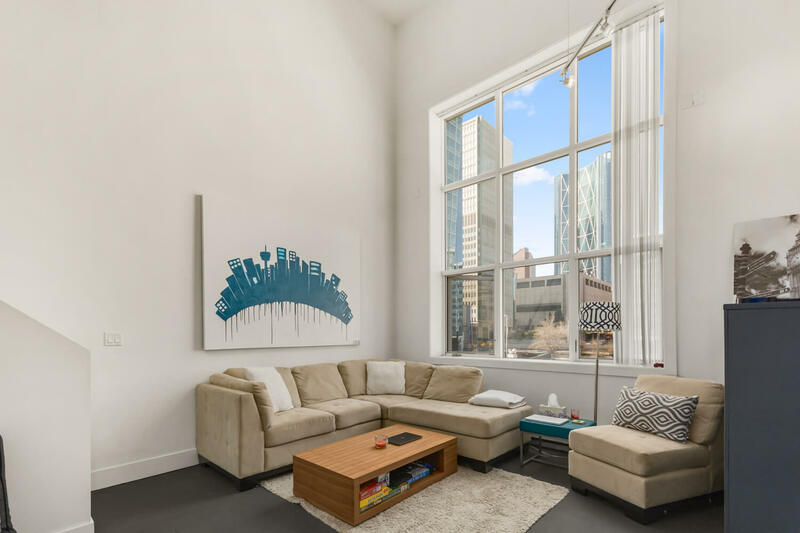 Experience loft living with 19 ft. ceilings, concrete flooring, white walls and a large north facing warehouse window looking onto the Downtown skyline. 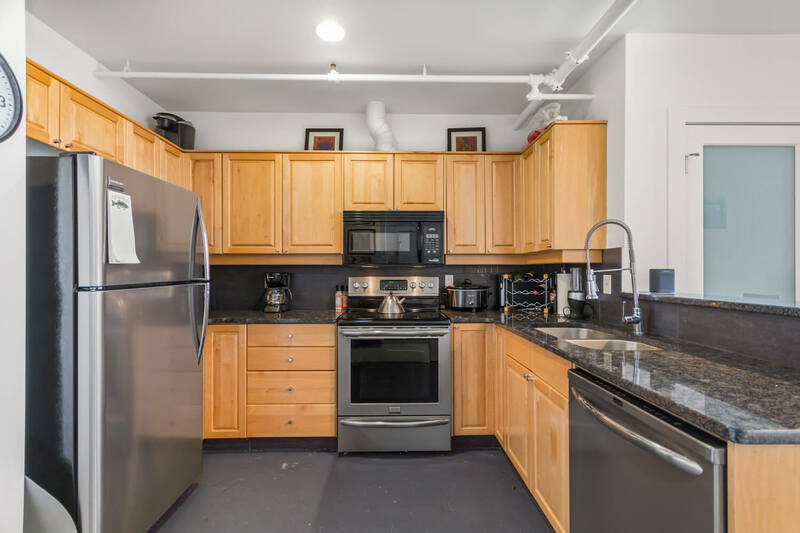 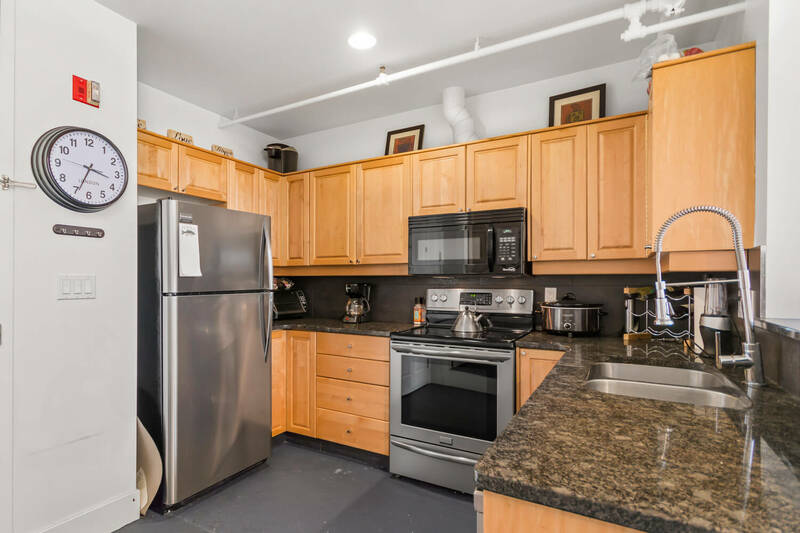 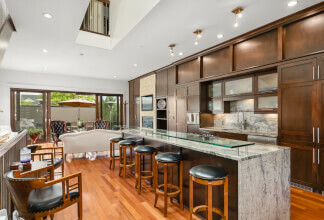 The kitchen has been updated with shaker cabinetry, stainless steel appliances and granite countertops with an eating bar. 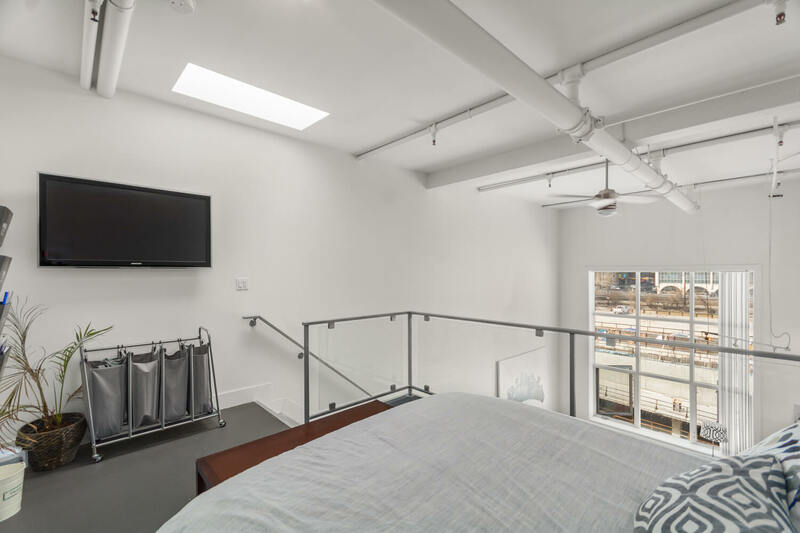 Diamond stamped, plated stairs reveal the lofted bedroom with a 4 piece ensuite, open closet and a spacious dressing room/storage. 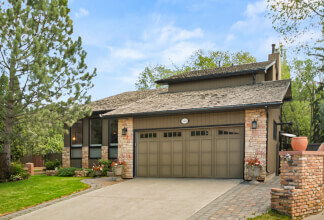 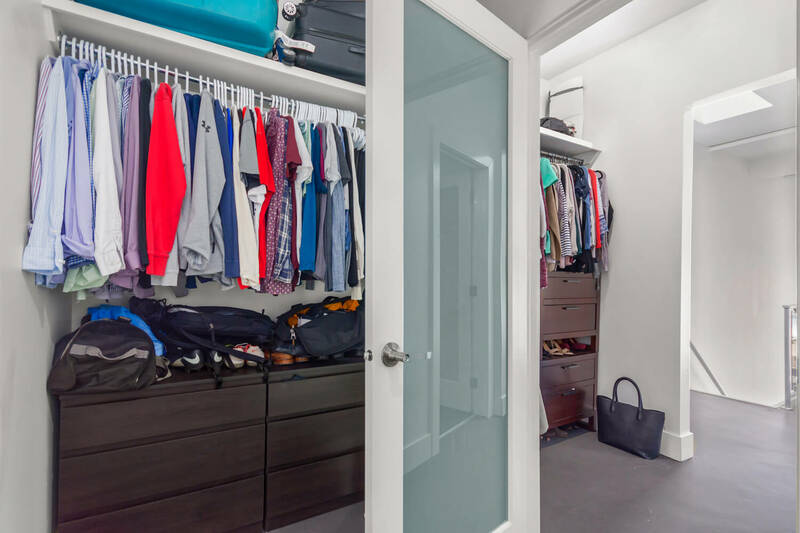 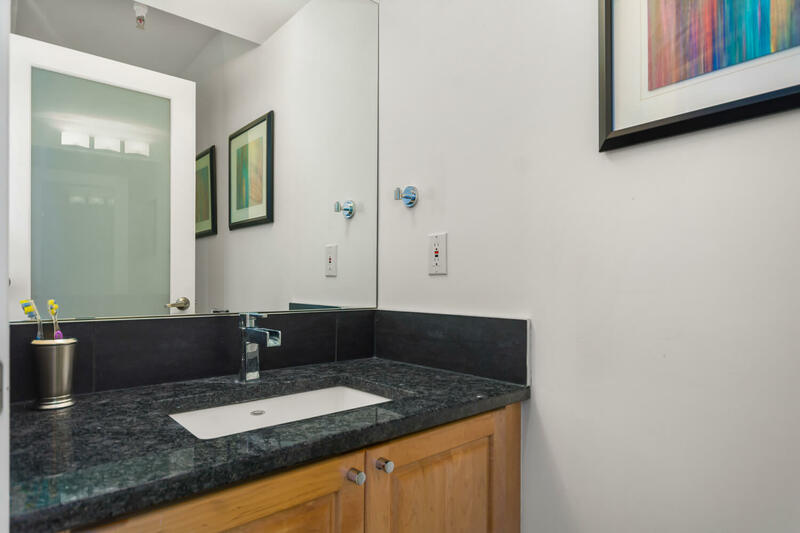 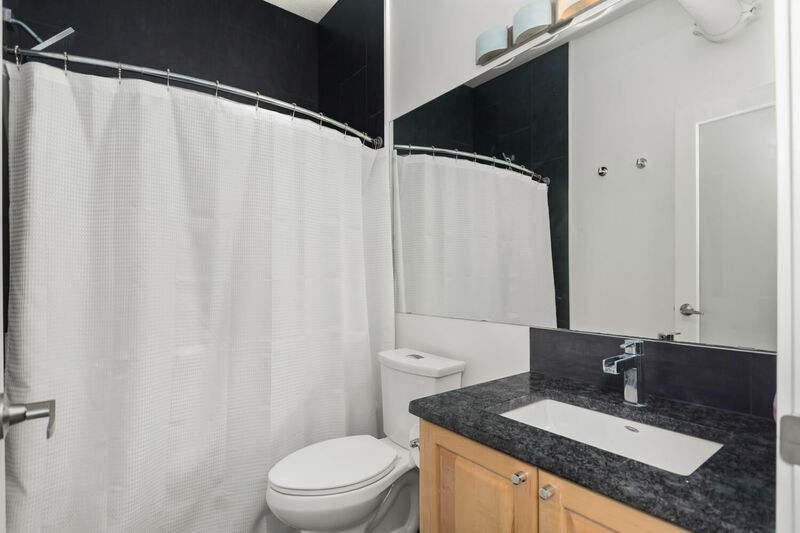 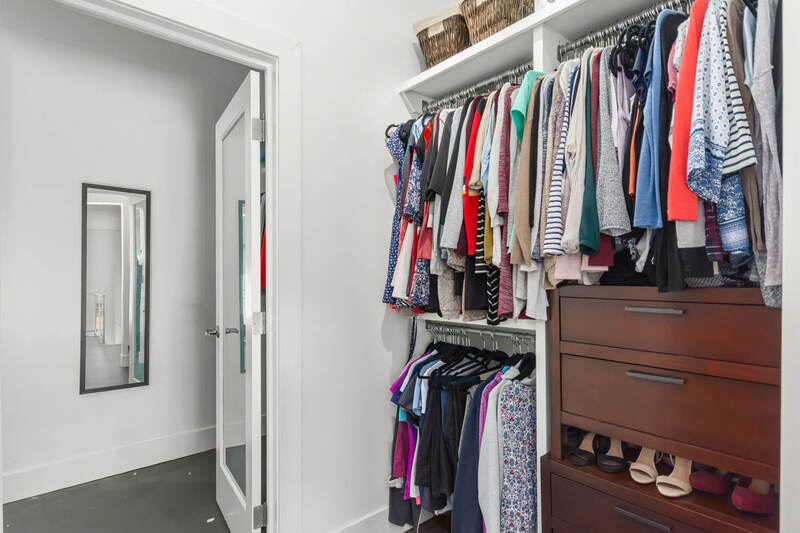 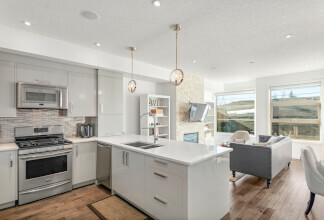 Also note a contemporary surround gas fireplace, main floor 2 piece bathroom, in-suite laundry, titled underground parking and additional storage. 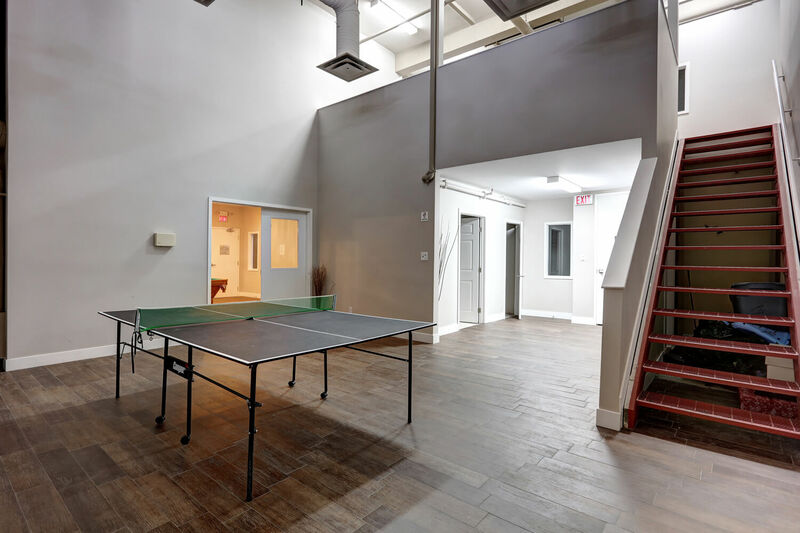 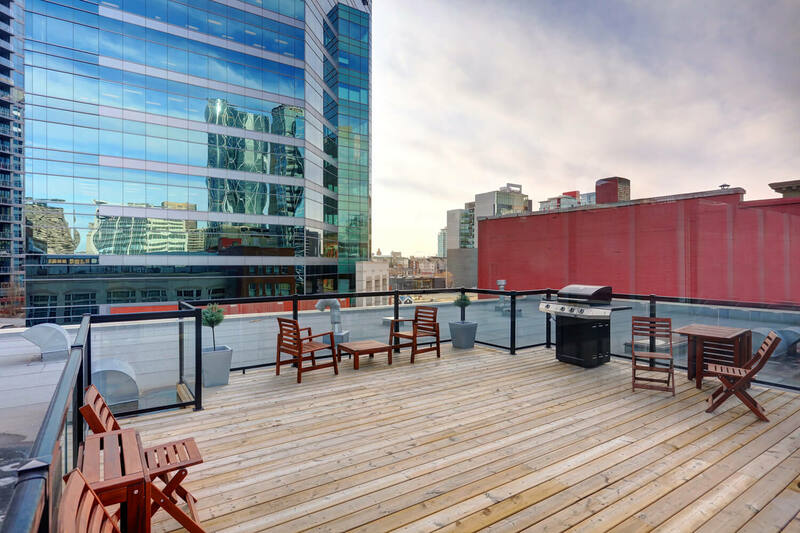 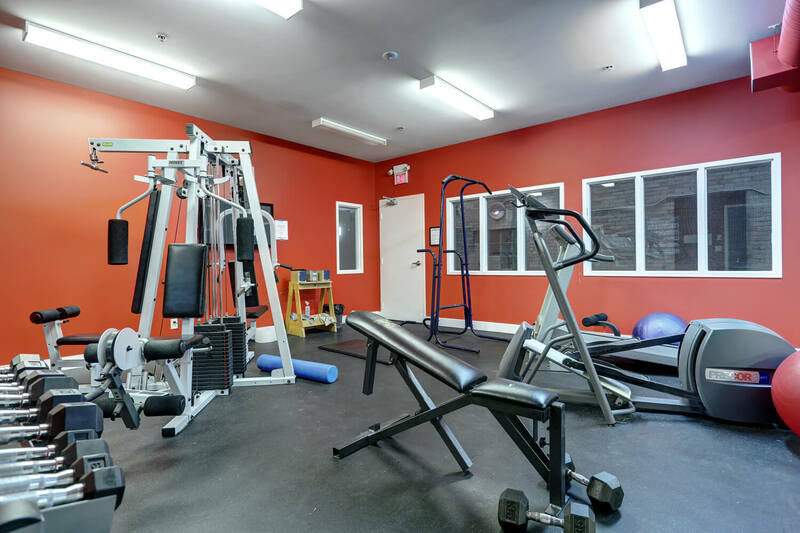 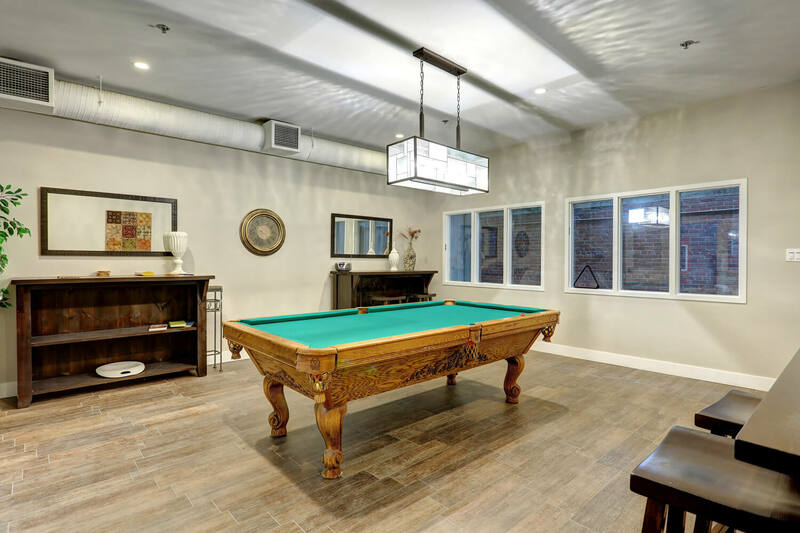 Imperial Lofts boasts a fitness room, billiards/recreation room and a loft/social room in addition to a rooftop patio. 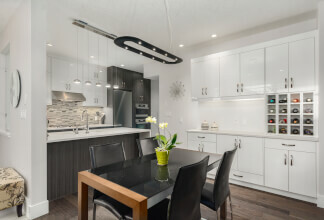 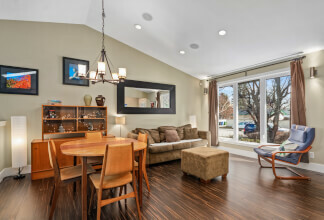 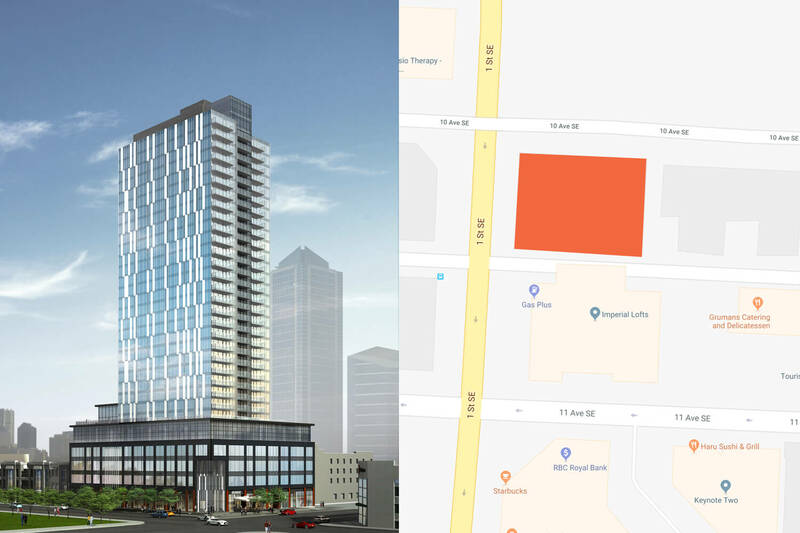 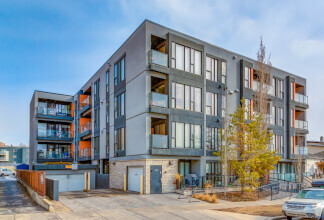 Situated in The Beltline; an exciting district offering easy access to 17th Avenue, the Core, Mission and Inglewood.